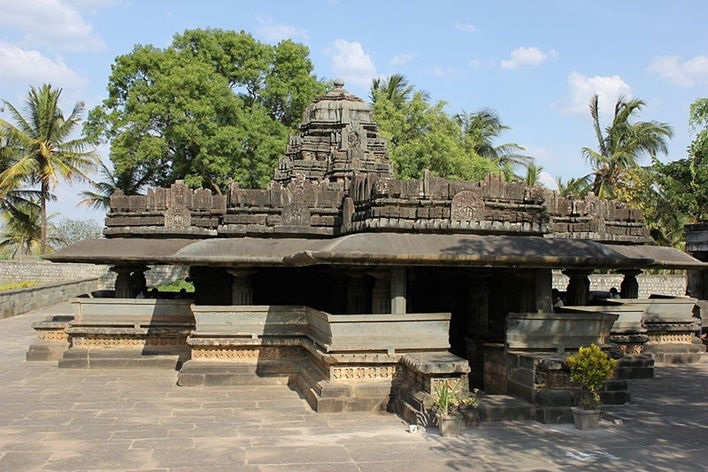 Siddhesvara Temple (Siddheswara or Siddesvara), also known as Purada Siddeshwara was built with soapstone and is located in Haveri. The temple is similar to the Chalukyan temples based near Haveri. Initially, the temple was constructed as a Vaishnava temple, but later in the years, the Jains removed the images and thus the Shiva temple was created since it came under the possession of Shiva devotees. The ideal time to visit this temple is in March and April, during Ugadi and on 1st November during Kannada Rajyotsav. The construction and art of the temple are considered as an example of the 12th century; however, if we go by the inscriptional evidence within the temple it suggests that the temple was built in the late 11th century. While currently the temple is used as a Shaiva temple dedicated to God Shiva. It has beautiful 1300 stone cravings which make it one of the most astounding beauties to visit in the city. The temple has been constructed following the Chalukyan style and Dravida articulation. 12th-century elements were also added to the temple to beautify the place, which includes aedicules, miniature decorative towers, and pillars. The temple comprises of mandapa containing sculptures of Lord Shri Shiva and his consort, i.e. Shri Parvathi, Lord Shri Vishnu, Naga-Nagini and sons of Shiva Ganapati and Kartikeya. The sculpture of Goddess Parvathi and Shiva’s consort is decked with garlands, long curly hair and earrings giving the sculpture the much-needed look. Towards the side of the door, Nagini and Naga with their tails tangled are placed and along with it is the image of Parvathi. 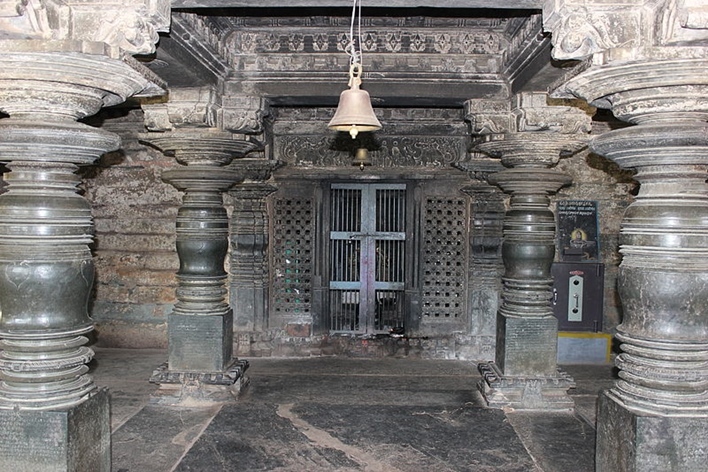 On both sides of the doorway, there is a window with stone works while the shrine has a plain linga placed over it. Saptamatrika which denotes seven mothers. 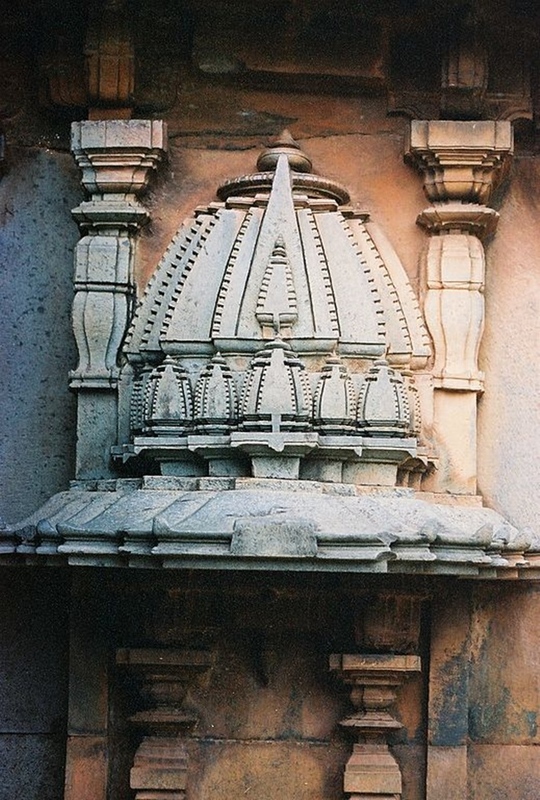 It has also been carved into the wall of stepwell placed outside. There is a place in the temple, which depicts a male figure having six hands. The two lower hands hold the Linga while the middle left hands holds the wheel. An arch is also placed above the entrance which has images of Lord Brahma, Shiva, Vishnu and again Shiva at the centre. Individuals visiting the temple would find various inscriptions printed on the walls. The earliest inscription which dates back to 1087 CE is placed on the beam inside the Siddhesvara Temple. Along with this, there is another stone inscription dated 1108 CE placed outside the temple. The temple houses sculptures of various Gods i.e. Shiva and Parvathi thus enhancing the beauty of the whole temple. The inscriptions printed on the wall of temple tell a lot about the history of the religion. The sculpture of Shiva has been depicted with four bhujas that hold different attributes like a Trishul, damaru and chain been. The temple has the main hall, along with three mukhamantapas, antarala, navaranga. The doorways of the temple have also been carved with some of the most beautiful images. Siddhesvara Temple, Haveri is a true example of history and religion, which is a necessary visit for individuals who wish to get a closer look at the history. Moreover, people, who are inclined to watch the historic decorations and sculptures in India this is one of the best spots to pick up and get a the real taste of art within India. Flights can be taken to the city of Bellary, which is 119 kilometres away from Haveri. Regular trains are available between Bangalore and Mumbai. For individuals taking the train up to Bangalore, the journey will take another seven hours to reach to Haveri. The nearest bus station is Haveri and there are regular buses to it from all major cities.